Wow! The news just keeps getting better! 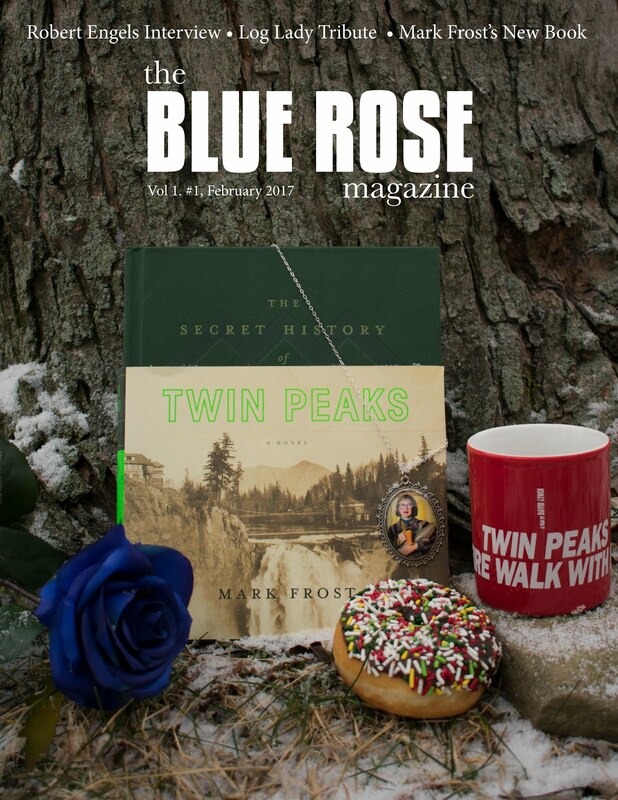 Mark Frost will write an original Twin Peaks novel! Looks like this will serve as the bridge between the original series and the new one. Amazing. Mark Frost's involvement is the most exciting aspect of the announcement. Don't get me wrong; I'm thrilled that David Lynch will be directing the nine new episodes; there could never be a Twin Peaks without him. 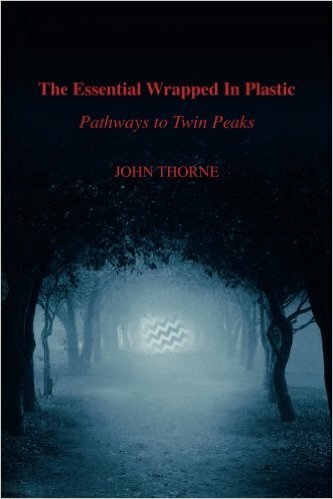 But a return of Twin Peaks to serialized format requires the storytelling discipline and structure that Mark Frost brings to the project. With Frost and Lynch working together, the new series has the potential of matching the momentum and urgency of the first season. That would be something to see! A weekly format is the way to go! At first, I expected the new Twin Peaks to be available on Netflix (or something like it). That would allow for the whole series to be available at once. But that format doesn't fit classic Peaks. (I like that, "Classic Peaks." That's what I'm going to call the old series.) If the new show features a central mystery akin to "Who killed Laura Palmer?" then the best way to build interest, narrative momentum and viewer engagement is with a weekly series. Like the old days, this approach will give us all a chance to parse each episode, predict future developments and offer our own theories. That's what was so much fun about the original airings of Classic Peaks: the involvement we all felt with the show, the energy we brought to thinking about it week-to-week. These are vital ingredients to the success of TP-on-TV. I expect the laughs to return. Fire Walk With Me was dark, disturbing, and stripped of the eccentric humor intrinsic to the show. (Yes, there was some in the film, but it was muted.) And it didn't start there: the final episode also lacked the oddball behavior and delightful story elements found in the rest of the series. A big part of TP's appeal came from its endearing characters and amusing asides. Humor gave Twin Peaks a certain charm. I hope much of that comes back. That's enough for now. I'm still wrapping my brain around the idea of new Twin Peaks. I have many more thoughts--specifically questions--about Laura Palmer, FWWM, the new Missing Pieces and how all of that fits into--and impacts--a new series. I'll save those thoughts for next time. By now, the world knows that Twin Peaks will return to television on Showtime in 2016. This is remarkable news. Simple stunning. I considered simply posting a blank entry here with a footnote that said, "I'm at a loss for words." As I struggle for what to say here, I feel like I still am. Twin Peaks was a life-changing event for me. No other television program or movie had such a profound effect on my life. The show put me on a path to get a Masters Degree in TV/Radio/Film from Southern Methodist University. It also led me to a thirteen-year collaboration with Craig Miller in which we produced 75 issues of the magazine, Wrapped In Plastic. In WIP, Craig and I wrote extensively about the series and film and we interviewed many of the actors and creative people involved with the Twin Peaks and Fire Walk With Me. We felt like we were documenting an important piece of art. I wish Craig were here to share in this wonderful news. I know we would be planning to continue WIP in some way and to start writing again about the new show. Sadly, a continuation of WIP as it used to be will probably not happen. That being said, I do plan to write about this new show in some capacity. Perhaps I will simply blog about it here. Or maybe I can find a way to resurrect WIP online. I just don't know. But something will happen. Like the rest of the Twin Peaks fan community, I am extremely happy right now. What exciting times we have ahead of us!